O-Powers are a new feature that work similarly to Pass Powers, but also have a more ranged effect. Several O-Powers will allow for you to increase stats within battle, while others will help you gain more experience or make your captures more likely. 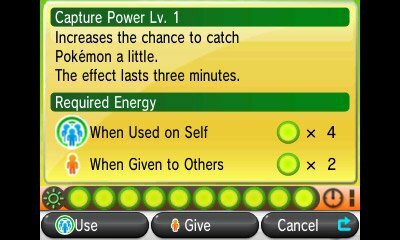 Like in Pokémon Black & White, you have the ability to share your O-Powers with your friends, but this can now be done over the internet so you can request help from your friends any time they are online. You can't send Encounter or Stealth Powers to people. .